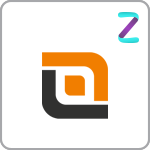 Intuz LogicalDOC has apache, tomcat, mysql, php, phpmyadmin, webmin, LogicalDOC and scripts which make it easy for you to use LogicalDOC. We have integrated SSL (Self-signed), phpmyadmin, webmin and scripts for backup, update and password recovery. LogicalDOC is a free document management system that is designed to handle and share documents within an organization. It is a content repository, with Lucene indexing, Activiti workflow, and a set of automatic import procedures. The system was developed using Java technology. LogicalDOC has SSL integrated for imporved security. LogicalDOC is integrated with phpMyAdmin and webmin with file transfer. LogicalDOC has Password Recovery, Snapshot Management and Update Management scripts.